A highly palatable, well balanced super premium food that has been developed in collaboration with veterinary surgeons, dieticians, and rabbit experts. Care+ has a perfect level of protein balanced by high levels of fibre, and a special ingredient called MOS is added which encourages friendly microbes in the gut. 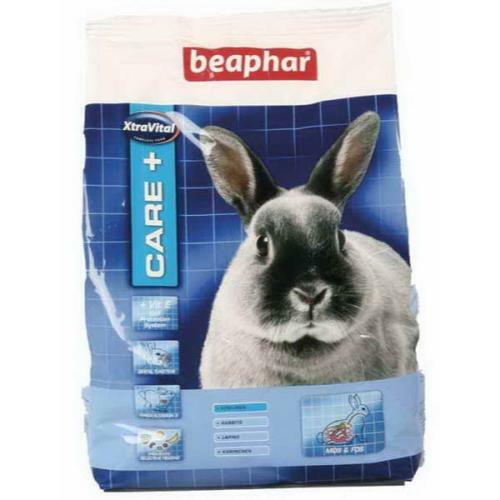 In conjunction with the balanced formulation, this helps avoid diarrhoea, and thus makes rabbits less prone to flystrike.